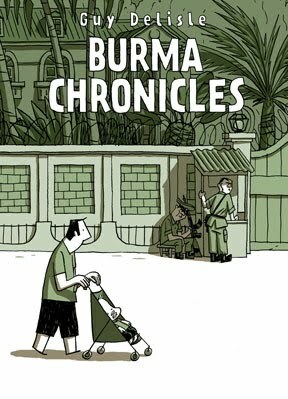 Guy Delisle's Burma Chronicles is a fantastic travelogue and political commentary memoir told in graphic novel form. As an added bonus, it makes what must have been a very difficult and tense time seem humorous and fun. Burma Chronicles details the year that Delisle, his wife (a physician working for Doctors Without Borders) and their baby Louis spent in Burma. Burma is ruled by a totalitarian regime, and Delisle's humorous anecdotes about cultural differences are set side-by-side with commentary about the ways by which the regime oppresses the Burmese people. Delisle lives in relative safety with the expats, but gets to know some locals well enough to realize that life can be a harrowing experience for the Burmese. c travelogues. He is the only person I know of, though that doesn't really mean much. I would say, though, with my limited experience, that Delisle has a great idea, and does very well with it. 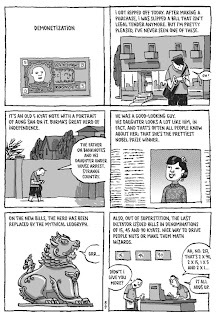 Why aren't more travelogues told in graphic novel format? It's genius! When I first picked this book up, I was skeptical that the format would work. After all, a travel memoir of life over a year in Burma sounds as though it would include a great deal of politics and dissatisfaction and possible tirades. But this isn't like that at all. Delisle tells his story in vignettes. Many of the frames involve him wandering around with a stroller and his adorable baby. While there is an over-arcing story of his whole time there, most of the book is very episodic. For example, he spends a few pages talking about his trips to the north, and describing how many checkpoints there are. He spends a few pages describing Burmese grocery stores. He then describes how many Burmese eat betelnut, and then will mention how he lives down the street from a former Nobel Prize winner who is under house arrest. This works very well because he doesn't get bogged down in having to give his readers a huge back story on a country many know very little about. Instead, he can just give us snippets of his life, and share his thoughts with us. I really enjoyed this. I loved learning Delisle's relationship with the nanny and his guard, his trips to all sorts of expat parties, his attempts at teaching the Burmese about computer animation, and everything else. His humor comes out in nearly every frame, and I found myself smiling through most of the book, even as I began to understand just how difficult life in Burma must be. This was a very entertaining book, and while I don't know if I learned as much about Burmese history and culture as I might have by reading a different sort of travel memoir, I'm glad I went with this graphic format. It was fun and engaging, and thoroughly kept my interest. Did you know that Craig Thompson has a graphic travelogue? It's called Carnet de Voyage, and though I've yet to read it myself I've heard good things. 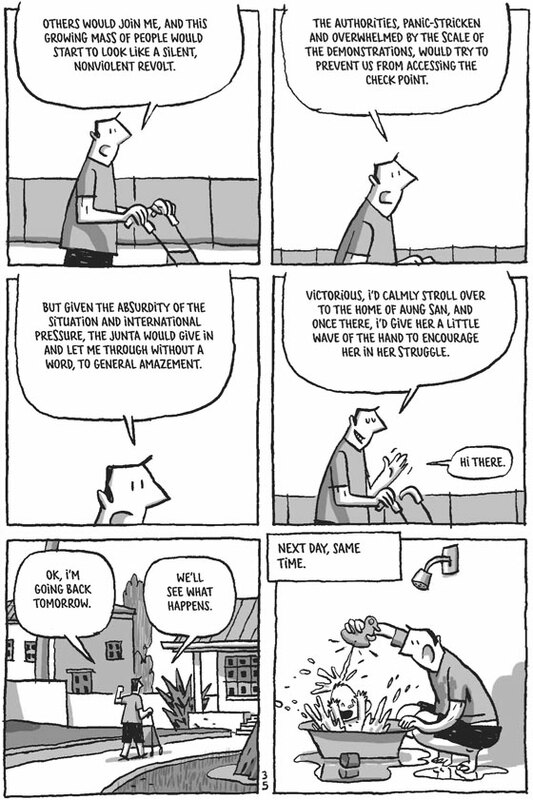 I love Delisle's work. As humourous as I find his books, I also find that they stand up against more serious, written travel memoirs covering the same locations. He tells very personal stories, focusing on the details of everyday expat life in these places, but he never ignores the broader context and is always curious about the lives of locals. Just a wonderful, fascinating perspective all round. Glad to find another person who enjoys his work! Why AREN'T more travel writers doing it in comics form? That would be better! I'm excited to read Guy DeLisle - he sounds like a great writer. And I don't know anything at all about Burma. My only brain-association with Burma is that the girl from The King and I who has the illicit boyfriend is Burmese, and everyone makes fun of her. 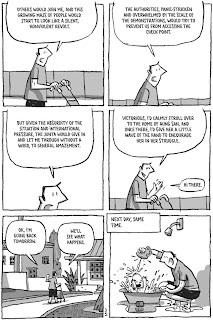 I love the idea of graphic novel style travelogue - French Milk was the first one I read. My only hesitation is what you mentioned - it's hard to get really in depth with that format! Still, I'm definitely putting this one on my TBR list. Thanks for the review. I rarely read graphic novels, but this looks like one I'd really enjoy. I am fascinated by the Doctors Without Borders angle. Blodeuedd- Try one! You might better enjoy the fantasy ones, though. Eva- How funny- I can't find the North Korea one anywhere, and really want to. Ana- I did NOT know that. I will try to find that somewhere. Jenny- I think it's great the way people are doing more with the GN format. I bet we'll see lots of stories told that way that we don't expect. Swapna- I've yet to read French Milk, but I would love to see a travelogue of a more well-known travel destination. Amanda- I am so honored by you saying that as I just recently started reading them! I'm glad I am reading ones that seem interesting. Stephanie- That angle comes up politically a lot so you might enjoy this one. French Milk by Lucy Kinsey (I think) was a cute graphic novel travelouge, but that's the only one I can think of. I just read a book on Burma that I enjoyed, so this is going on my list! I like the sound of this book and think that the style in which the story is told, along with the really cute illustrations would probably make this a really interesting read for me. I also like that the book is fairly episodic and doesn't get too mired down in weighty diatribe. I am going to be taking a closer look at this book. Thanks for sharing this great review with us!! I am 99.9% sure I wasn't familiar with Delisle at all until now, so thank you for that! I'll have to look these up. 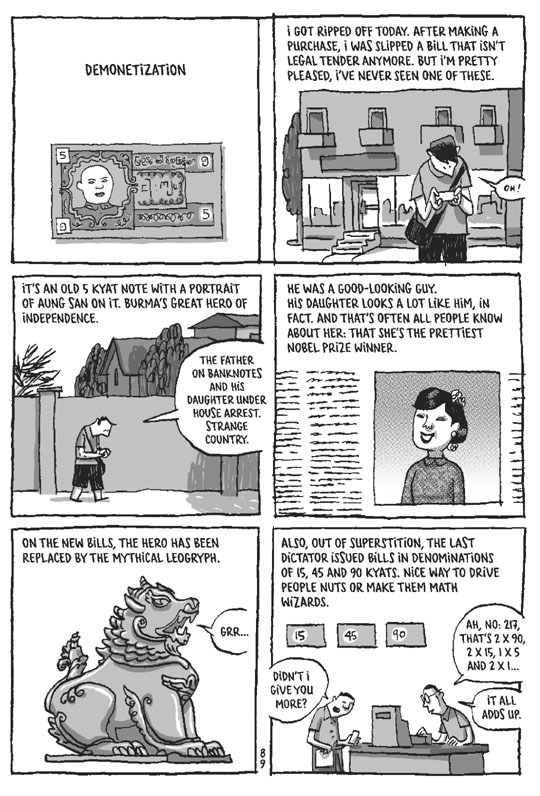 I think a graphic novel is a wonderful way to do a travelogue. I've been on a graphic novel kick lately, but I'm struggling to find ones that aren't fantasy (so mostly, I guess, I'm looking for memoirs). Thanks for giving me one to add to the list! I love his stuff. I gave his book on China to a friend who traveled to the same area Delisle wrote about and my friend said it was very accurate! I enjoyed the Burma book a lot and hope to read some of his others soon.